Lewis Macintosh and his brother Hugh were both members of the Royal Naval Reserve. Lewis was one of nine R.N.R men from Avoch who took part in the defence of Antwerp in 1914. He was captured and spent the war in a prisoner of war camp at Groningen in Holland, returning in November 1918. 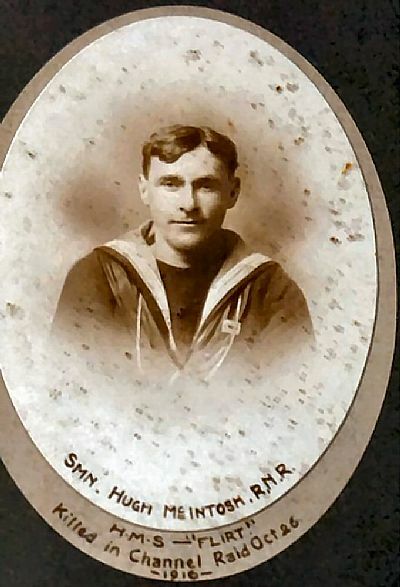 Hugh died when his ship H.M.S Flint was torpedoed in the English Channel.